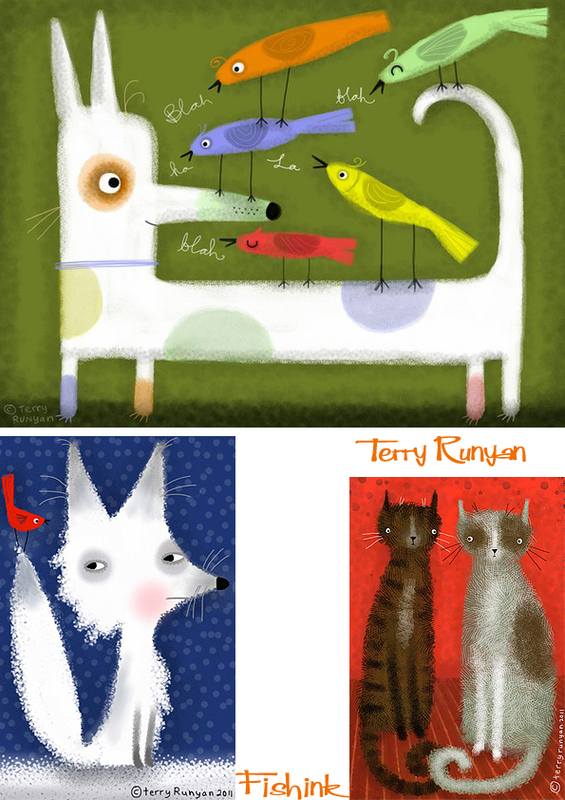 Terry Runyan is an American artist who works full-time for Hallmark Cards in Kansas City. 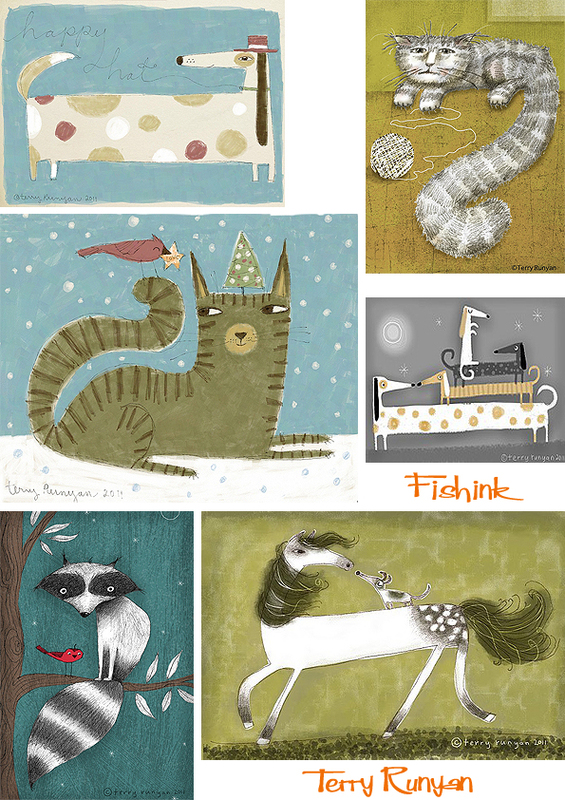 She also does artwork for fun featuring quirky cats, dogs and animals of all kinds. 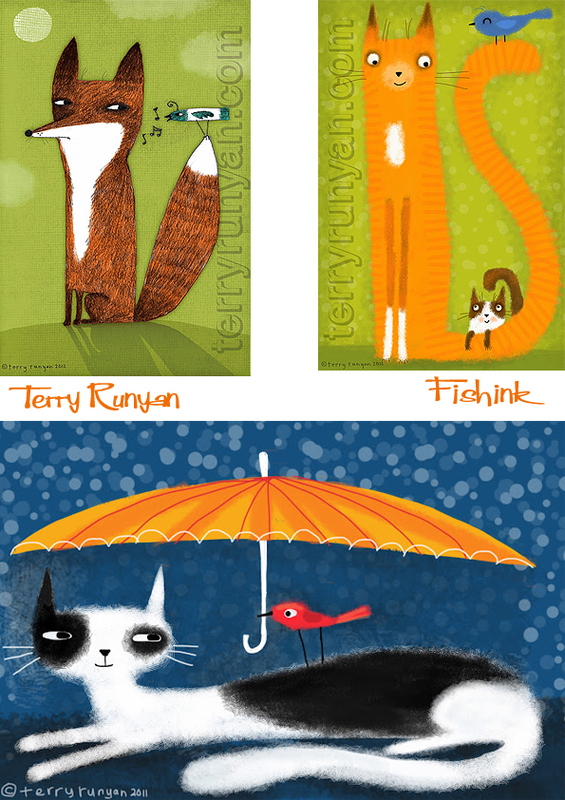 I messaged Terry to find out a little more about her creative illustrations. Graduating from San Jose State University with a degree in Design and Illustration, Terry was snapped up by Hallmark recruiters within 6 months of finishing her degree and has worked there ever since. It looks like Terry’s cats get to model for her quite often these days ! 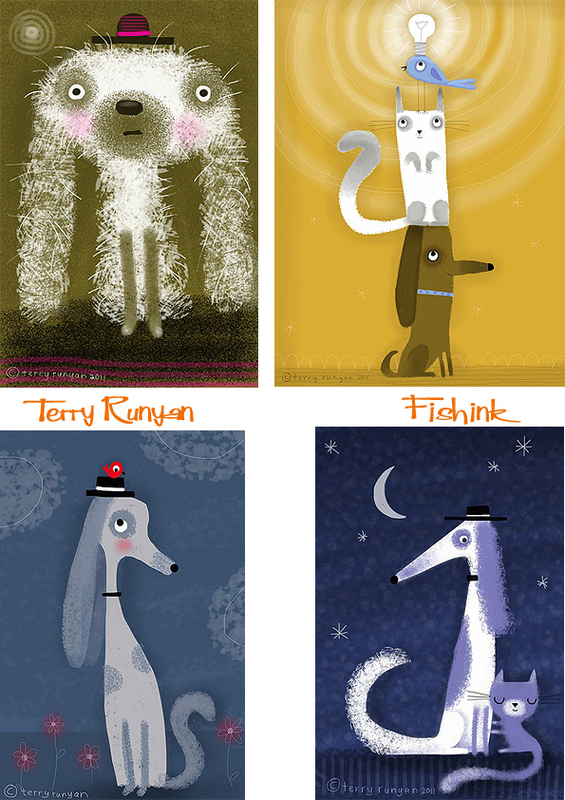 Great characters to make me smile. 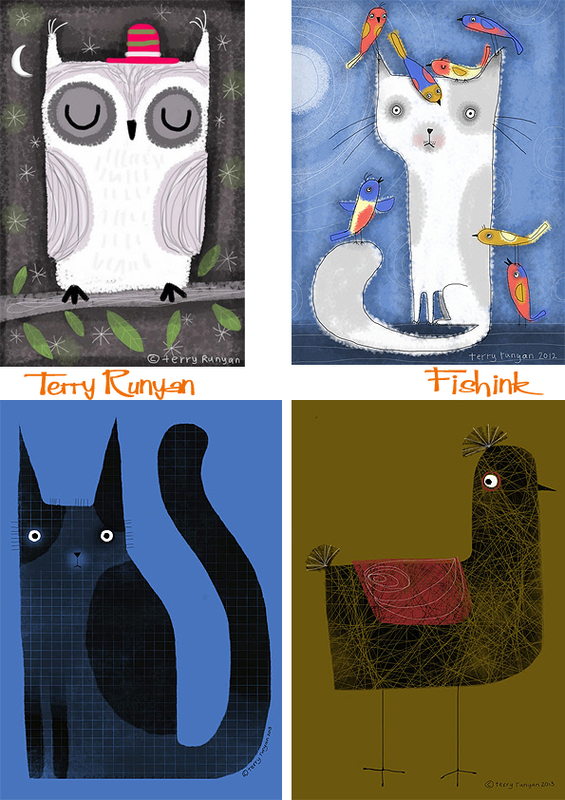 Terry has a range of posters and prints that she sells here through Society 6. Thanks Terry for a great introduction to your work. ← Costumes, customs and ritual attire. 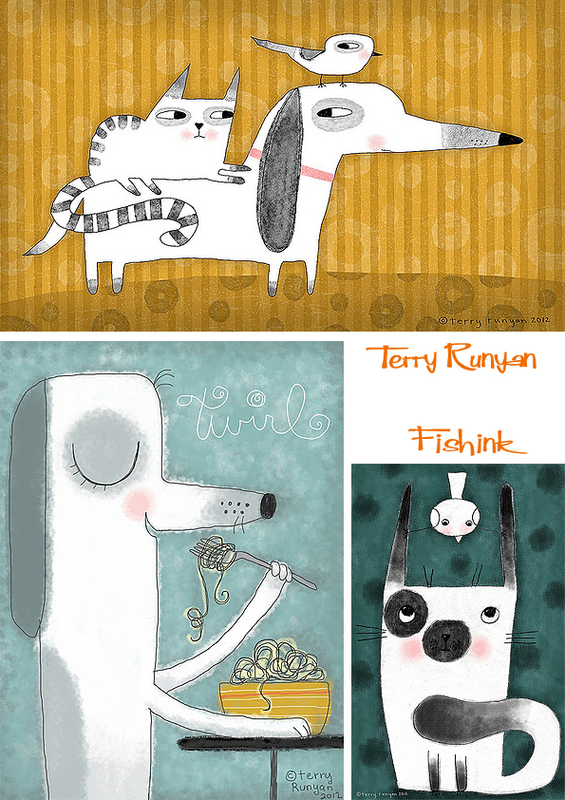 Terry’s work is outstanding – such fine use of color and character. Thanks for your comment Diane, I agree wholeheartedly. you have such gorgeous work!! Hi Trisha, thanks for your comments, you’d be best to contact Terry directly to ask about any fabric she might have designed. Her work would look great on fabric.